Brian K. Stoner, author of "The Dark Angel Chronicles" series, "The Dragon Mage Chronicles," and "Prophecy of the Ancients" is more than just a fantasy author. He's also a programmer, game developer and musician. 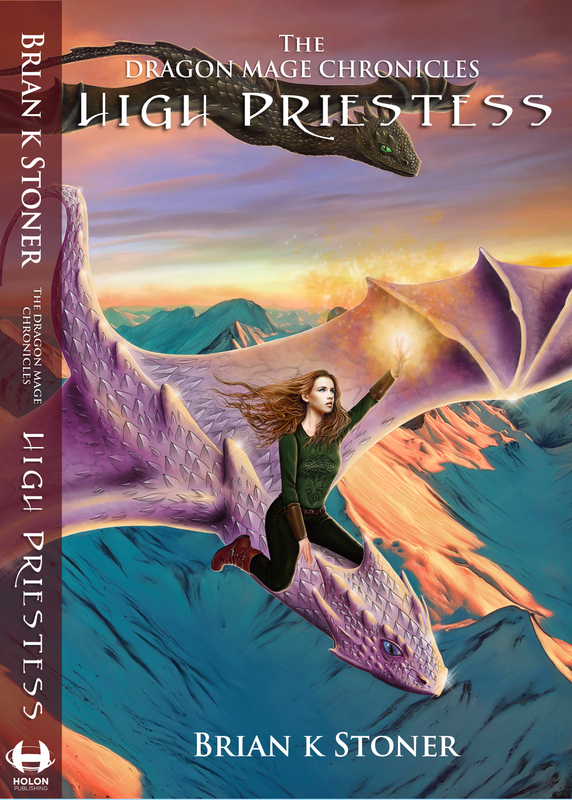 "High Priestess" and "Matriarch" from the Dragon Mage Chronicles, as well as "Prophecy of the Ancients" will be available in January of 2013. The Daemon race that had cast its dark veil upon the lands for an aeon is at last vanquished. The Serianai are three, ushering in a prosperous age of concord and order. Young Leliah, already given the title of Dragon Mage, has not yet come of age, living in a world without threat, without a single adversary of consequence. Hidden from the detection of all, however, a small shard of the Black Void eluded the Daemon’s destruction and has grown in the shadows, giving rise to a creature of prodigious evil. Leliah’s mother, the Dragon Mage before her, is no longer in reach, leaving Leliah the vulnerable mark of the creature’s quest for retribution. In the second installment of the Dragon Mage Chronicles; Leliah’s ordeal continues as she is released from the sanctuaries of the Seriani. With great malevolent design, the wrathful creature that thirsts for her life is more determined than ever. Mindful of the danger, the new Sorceress High Priestess begins construction of an unprecedented stronghold and an order of trained mages the likes of which the world has never seen. Unbeknownst to either side, clandestine forces are poised to take advantage of the ensuing struggle to seize supremacy to suit their own agendas. With the assistance of old allies and new, Leliah stands steadfast at the heart of the coming tempest. As the end of the cycle draws near, the modern world lies unprotected, the old dangers forgotten, the old enemies remembered only as a muth and legend, and those half true at most. Humanity is ripe for the return of the Ancients and their servants. Still one society, an order of ancient and secret, remembers and prepares for the coming apocalypse, seeking the Chosen One around which many of the legends were born, the one who represents the single hope for the world, whose birth was foretold in the Prophecy of the Ancients. Margaret Clark: "I Left My Heart In Harlem..."